An Port Mór is in Westport, Co. Mayo. You’re in the West of Ireland and you know it. Frankie has been living in Westport, Co. Mayo for almost two decades now. His skill in cooking seafood was further honed at the Towers Bar and the Shebeen. 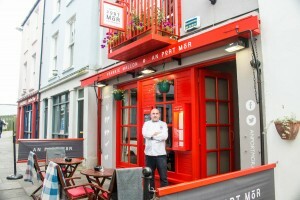 In 2009, he opened An Port Mór Restaurant. It’s named after Irish translation of his hometown of Blackwatertown, Armagh. Think signature creations that you won’t find anywhere else like Crab Cakes in a Seaweed Polenta and Coffee, Almond and Black Pepper Bread. This is a true West of Ireland restaurant on the Wild Altantic Way. It might be raining outside, but inside will always be warm and welcoming. 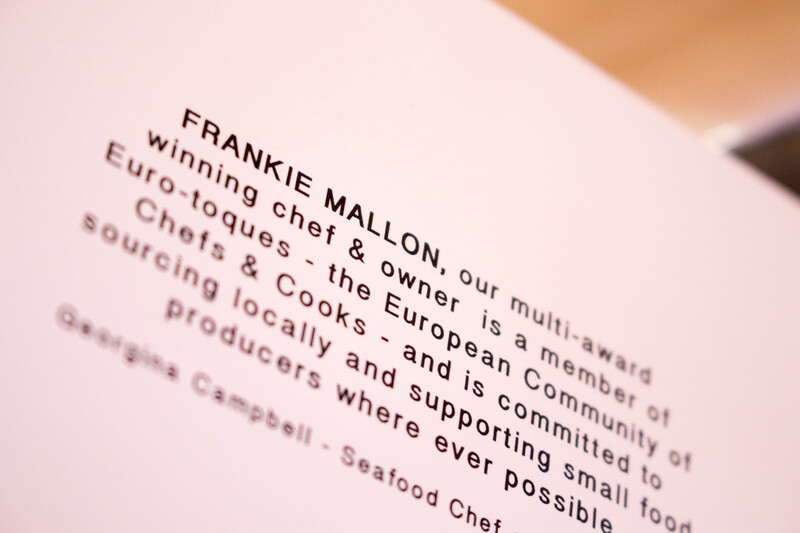 We’re not a fine-dining restaurant, but the ingredients we use are always top notch” says Frankie. 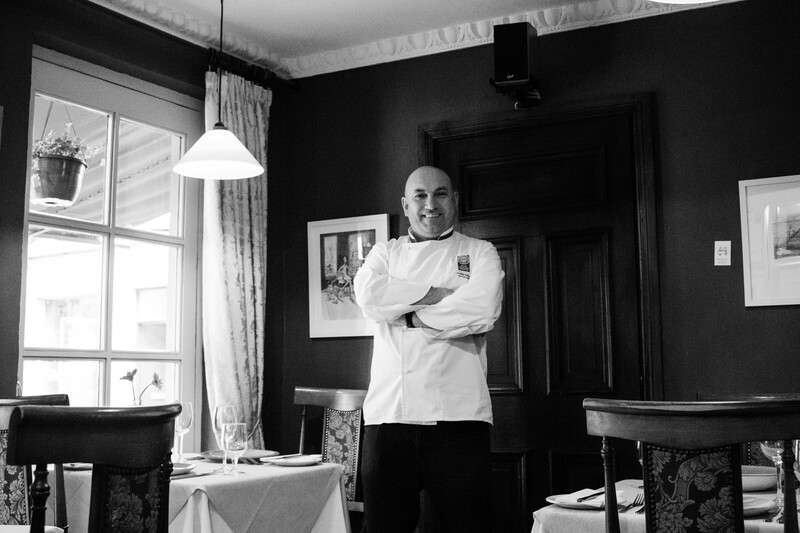 “The crab claws from Clew Bay are the best you can get, so I just poach them in garlic butter. Our local Achill Mountain Lamb is as good as lamb gets, and it just loves salsa verde.